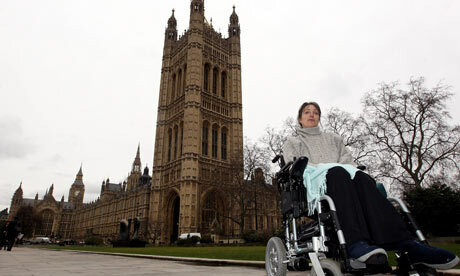 A Private Members' Bill aimed at ending the discrimination is due to be debated but the government is not backing it. Meanwhile a BBC poll suggests there is overwhelming public support, with some some 80% backing the bill's proposals. The poll also suggests 76% of Britons want the monarchy to continue after the Queen. The legislation on reform has been introduced by Liberal Democrat MP Evan Harris, to end the "uniquely discriminatory" rules laid down in the 1701 Act of Settlement. For centuries the rules have endured but the government has indicated that it is prepared to look at it again, said BBC political correspondent Ben Wright. Downing Street confirmed the prime minister would raise the prospect of the major reforms at a Commonwealth summit in November, and that dialogue with Buckingham Palace was ongoing. Such reform would need the backing of the 15 other Commonwealth countries which have the British monarch as head of state. Sources at Number 10 have said while the government supports the "principles and objectives" of the bill, it would not support the bill itself. Dr Harris has cross-party support for his proposals, but a Ministry of Justice spokesman said while the government "stood firmly against discrimination" there were no immediate plans to legislate because the changes required were "complex". 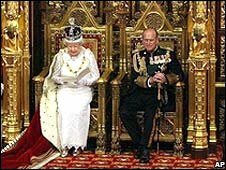 The Act states that heirs to the throne lose their right to be the sovereign if they marry a Catholic or convert. Dr Harris's Royal Marriages and Succession to the Crown (Prevention of Discrimination) Bill is co-sponsored by Catholic parliamentarians such as Tory MP Edward Leigh, Labour's Andrew Mackinlay and John Grogan and fellow Lib Dem John Pugh. But it may not give this particular private members bill the support it would need to become law. A Ministry of Justice spokeswoman said: "The government has always stood firmly against discrimination in all its forms, including against Roman Catholics, and we will continue to do so. "To bring about changes to the law on succession would be a complex undertaking involving amendment or repeal of a number of items of related legislation, as well as requiring the consent of legislatures of member nations of the Commonwealth. "We are examining this complex area although there are no immediate plans to legislate." Dr Harris said there was "nothing new" in the government saying it wanted to see change. "When first elected 12 years ago they said they would end unjustified discrimination wherever it exists. But there has been no action to back that up. "They need to support this bill today, amend it as necessary and make sure it passes. They can't wait until next year because our constitution also tells us that their time is up in June. This is the last chance." According to the poll, 76% said the monarchy should continue, against 18% who said they would favour Britain becoming a republic. An additional 6% said they did not know. More than 600 judges have condemned government plans for new sentencing guidelines as “unnecessary, costly and unwelcome” and likely to lead to injustice. In a strong and highly unusual intervention, the body that represents the 652 circuit judges in England and Wales has warned that changes going through Parliament will severely limit judicial discretion. The Bill has passed through the Commons but has yet to go through the Lords, where the judges are likely to receive substantial support. They believe that the proposals will lock them into a rigid framework of sentencing options. The judges accuse the Government of departing from recommendations made by a working group set up under Lord Justice Gage in 2007 to consider an American-style sentencing grid. Its report called the idea “unsuitable and unacceptable in England and Wales”. He said that on Tuesday he had moved a series of amendments “to underpin judicial discretion, and to ensure greater necessary flexibility for the sentencing court” that MPs agreed. The Bill also spelt out that the sentencing court could depart from the already flexible guidelines “where it is in the interests of justice to do so”. Mr Straw said that he was willing to meet judges to discuss concerns. A spokesman for the Ministry of Justice said that the Bill intended to ensure “greater consistency in sentencing, which would be in the interests of justice and, primarily, of the public”. Similar concerns have been expressed by the 30,000-strong Magistrates’ Association. Its chairman, John Thornhill, said that magistrates were “angry and upset over what they see as an unwarranted attack on their independence”. The association said yesterday it understood that it was not the Government’s intention to remove judges’ discretion or to tie sentencing decisions to the availability of prison places. It added, however, that “amendments proposed are not strong enough to allay fears that undue influence through a too rigid sentencing structure will be imposed”. The view from the air traffic control tower at Heathrow. Heathrow runs at close to 100% capacity. With demand for air travel predicted to double in a generation, Heathrow will not be able to cope without a third runway, say those in favour of the plan. Because the airport is over-stretched, any problems which arise cause knock-on delays. Heathrow, the argument goes, needs extra capacity if it is to reach the levels of service found at competitors elsewhere in Europe, or it will be overtaken by its rivals. Passenger numbers may be down as recession takes hold, but proponents argue we should not base transport decisions on the bad times, but look ahead to future upturn in demand. The third runway will be worth £7bn a year to the economy, according to airport owner BAA. Some say a third runway is the only solution to the congestion at Heathrow. Tens of thousands of jobs will be created - in construction in the short term - and for business and in tourism over the longer term. Lack of expansion at Heathrow would threaten London's position as trading capital of the world, throttling the very international links Britain was built on. Business leaders argue London deserves and needs an airport of international quality. Those pushing for the new runway argue that pollution caused by the airport will be closely monitored. Meeting targets is a condition of expansion. By 2020, when the runway would be completed, new technology will mean planes are much quieter and less polluting. The Airbus A380 already demonstrates that planes are moving in this direction. If the runway were not built, the argument runs, there would be no cut in emissions. Flights would simply move to other European airports. CO2 would not be reduced, merely transferred elsewhere to the UK's detriment. Building a brand new airport in the Thames Estuary is not feasible according to those in favour of the third runway. Transport Minister Geoff Hoon says lack of transport infrastructure, fears of 'bird strike', cost and lack of available finance all make the project prohibitive. Heathrow generates 50% of UK aviation emissions. This makes 6% of total emissions, according to Department for Transport figures. With a third runway and as the UK as a whole cuts emissions, Heathrow's contribution to overall UK emissions would rise significantly by 2050, some calculate to as much as 50% of total. A third runway could mean an extra 200,000 flights a year over London. Why should aviation capacity be increased indefinitely? At a time when most accept the need for emission cuts, say opponents, should we not stick with the capacity we have and allow market forces to price out inessential flyers? A Greater London Authority (GLA) report suggested Heathrow would even now breach the EU regulations on levels of Nitrous Oxide due to come into force in 2010. Extra flights would only make this worse. Even the Environment Agency admits that with a third runway, Heathrow would breach these limits. 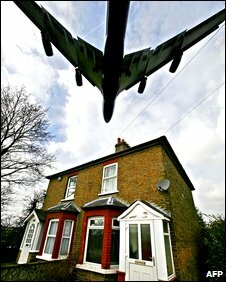 The GLA study also found that the airport would breach noise pollution limits as a result of the extra flights. Many of the new passengers the extra runway would bring would be transit passengers. According to former BA boss Bob Ayling they would spend little or nothing in London, only boosting airline profits. According to Sir David King, former chief scientific adviser to the government, the runway would over time come to be seen as a 'white elephant'. Long before investment in it were repaid, demand for flying will have fallen away as pressure to reduce carbon increases and competition with other forms of travel grows. The downturn is already forcing people to find substitutes for air travel. This pattern will continue, he suggests. Transport infrastructure around Heathrow already struggles. The extra demands would create gridlock. To make way for the runway, Sipson - a village of 700 houses - would be demolished and hundreds of acres of greenbelt land would be swallowed up. For historical reasons, Heathrow is badly located. It is the only major airport with flight paths over a large capital city, for instance. Some, like London Mayor Boris Johnson, believe this is a perfect opportunity to start again and propose a new airport in the Thames Estuary. Planes would approach and leave over water, reducing the impact of noise and the airport could operate 24 hours a day. The new runway at Heathrow could be built five years earlier than expected as the Government rushes the planning process to prevent opponents from blocking the expansion. Ministers yesterday asked BAA to submit a planning application as soon as possible with a view to opening the new runway and terminal as early as 2015. Previously, the Government had suggested the runway would not open until 2020. 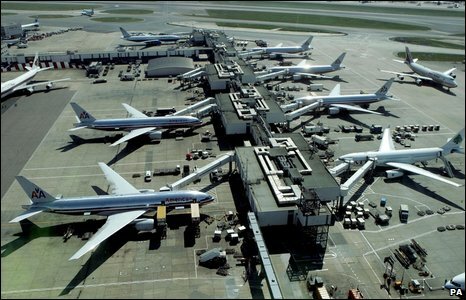 The £9 billion expansion, which will increase Heathrow’s capacity by almost 50 per cent, is likely to be one of the first projects considered by the new Infrastructure Planning Commission, due to be appointed this year. The commission will make the final decision, rather than the current practice of a planning inspector making a recommendation to ministers. The inquiry will be much shorter and simply consider whether the application complies with the Government’s aviation policy, giving only limited scope to objectors. There were angry scenes in the Commons as Geoff Hoon, the Transport Secretary, announced that he was approving the runway. Far from conceding defeat, the environmental and heritage groups opposing the runway pledged to step up their campaign, both in the courts and by direct action at airports. He said that the Government’s decision to reject plans for more intensive use of the existing runways made it imperative to build the third one as soon as possible. He admitted that the absence of extra capacity in the next few years meant that Heathrow would continue to operate more than 99 per cent full and be prone to long delays after even minor incidents. 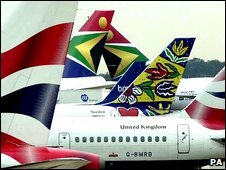 BAA welcomed the decision and said it was confident of being able to comply with environmental conditions. Mr Hoon said that airlines would only be allowed to use half the capacity of the new runway, or 125,000 flights a year, until 2020. Flights would rise after that if total emissions from UK aviation were on course to fall below 2005 levels by 2050. He said that a £250 million fund to boost sales of electric cars would more than make up for emissions from the expansion. Mr Hoon also announced a study into a high-speed rail line linked to Heathrow but did not make a commitment to building it. Greenpeace said: “If Gordon Brown thinks this is a green runway he must be colour-blind.” It said that more than 20,000 people had offered to invest in the piece of land it has bought on the site of the proposed expansion. Air traffic control officials have denied suggestions Heathrow would have to close if a new airport was built in the Thames Estuary. London Mayor Boris Johnson has championed a new airport as an alternative to a third Heathrow runway. NATS chiefs, who control UK commercial airspace, told MPs traffic would be hit at existing London airports. But it would not kill off Heathrow - and expanding that airport was still the best answer to increasing demand. A feasibility study into a new airport to the south-east of London, an idea first proposed nearly a decade ago, is due to be published later this month. A cross-party committee of MPs, chaired by Labour MP Nick Raynsford, the former minister for London, has also been set up to examine the plan, although the government has described it as "irresponsible and disastrous" and the Conservative leadership have yet to give it their backing. Appearing before the Transport Select Committee, officials from NATS - which provides traffic control services at 15 UK airports - questioned the impact of a new airport on current flight patterns. Operations director Ian Hall said NATS would not be able to do any research on the likely impact until firm proposals were put forward but said he believed expanding Heathrow was preferable. In the event of an entirely new airport being built, he said, neither Heathrow, Stansted or London City would be able to operate at full capacity and the UK would not get the "full benefits" of capacity available otherwise. "What we are trying to do is to illustrate that by adding an additional piece of infrastructure into that very complex mix would have a direct impact on overall capacity [in London]. Conservative MP David Wilshire said NATS had previously suggested that a Thames Estuary airport would result in the closure of Heathrow, Stansted and London City airports. The firm was now giving a "slightly less firm explanation", Mr Wilshire said, prompting suggestions from Committee chairman, Labour MP Louise Ellmann, that it had modified its views because of the controversy at Heathrow. Mr Wilshire pressed Mr Hall on whether the new airport would result in the "curtailment or complete closure" of other London airports "or something in-between". Mr Hall denied that NATS had shifted its stance, saying it had been "consistent" in its approach on the issue of new airport capacity and had not been subject to any political pressure. "I think we have also been consistent in our view that it is much better to expand existing infrastructure than it would be to create new infrastructure." He added: "I remember saying that if you put an airport here and an airport here and the departures from that airport are flying straight towards the flights arriving from the other airport that something would have to give." A coalition of local residents, councils and environmental groups have said they will take legal action to try and block a third runway at Heathrow. Ministers gave the go-ahead for the new runway last month with conditions on the number of flights and type of aircraft that are able to use it. The London Mayor has said the pollution from a vastly expanded Heathrow would damage the living standards of millions of residents of the capital and alternative ideas must be looked at. 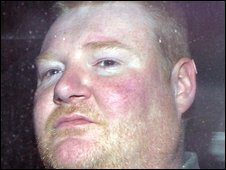 A former Sinn Féin councillor has appeared in court charged with the murder of Constable Stephen Carroll. Constable Carroll was shot dead as he answered a distress call in Craigavon. Brendan McConville, 37, of Glenholme Avenue, Lurgan, who denies the shooting, was also charged with having a rifle and 26 rounds of ammunition. Also on Wednesday, a 21-year-old man was arrested and subsequently charged with withholding information about Constable Carroll's murder. Brendan McConville was remanded in custody to appear again at court on 3 April. There was a heavy security presence at Lisburn Magistrates Court, with riot police standing guard and security checkpoints in the city. Mr McConville served on Craigavon Borough Council from 1993 to 1997. Sinn Fein say he was expelled from the party some time ago. Defence solicitor Kevin Winters asked police to confirm that Mr McConville denies shooting Constable Carroll. Detective Inspector John Caldwell confirmed this but said he could connect him with all charges. On Tuesday, a 17-year-old youth was remanded in custody charged with Constable Carroll's murder. On Monday, two men, aged 27 and 31, who were being questioned in connection with the murder were released without charge. Constable Carroll's murder came just two days after the killing of two soldiers at Massereene Army barracks in Antrim. They were Sappers Mark Quinsey, 23, and Patrick Azimkar, 21.